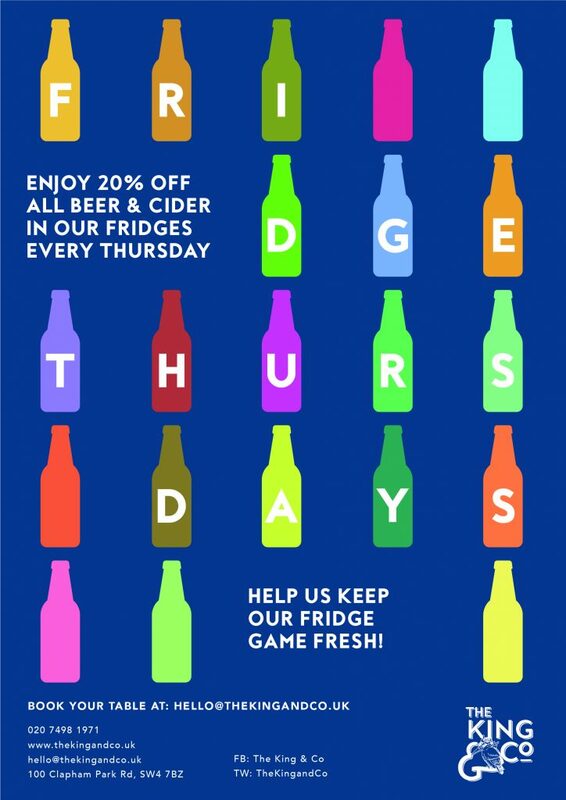 Come & enjoy 20% off all beer & cider in our fridges every Thursday & help us keep our fridge game fresh. The more you drink, the more quickly we can fill it with new & exciting bottles & cans. Simple!